Isn't that post title sounds fun? It's actually inspired from a book that my brother have with the same title written by Tom Hodgkinson. When I first saw it, I was like; "OMG, I never thought there is actually a book on ways to be idle!" You could say I'm very experienced in the art of being idle myself, lol.And the book itself was so much fun to read. It makes me feel less guilty for being a bit on the unproductive side during my holiday since I have already finished my examination .That means now is the time for me to sit back and enjoy my break! Back to the book; the introduction on the back cover is fun to read it actually peak my interest to start reading.
" Society today extols the virtues of efficiency and frown upon laziness, but as Oscar Wilde once said: doing nothing is hard work. As modern life grows ever than demanding, the loafers of this world may feel the odds stacking against them. But help is at hand! From Tom Hiddleston, editor of The Idler, comes the antidote to the work-obsessed culture that puts so many obstacles between ourselves and our dreams. Learn how to reclaim your right to sleep in, skive off, have a hangover, and take time time out; and how to let the day slip past you in the best possible way. The message is clear: in so doing, you'll be taking control of your life..."
Now that is quite deep right? I might write my own review once I finished the book. By the way, I somehow can relate with how the author lay out his initial thought in the excerpt above. I mean, we now are so obsessed with having a career that is considered 'good' in the society standard. People tend to choose the easiest path I think and sometimes I can be like that too.What happened to the good ol' dream chasing journey? Hmm maybe I shall have a wider perspective on it once I finished the book. And oh well, since we're talking about being idle, I'm gonna share with you my favorite activities that I love to do while being idle. I have this weird habit where once I picked up a book to read, it'll be so hard for me to stop it. Even when I finally finished one book, my hand would be itching for more! I've once started to read the Vampire Academy series, and guess what? I ended up finishing the whole series in less than a week! And that was six books with a few extra releases between the volumes! Yeah, I am a little obsessive in some ways. I just can't drop it once I'm hooked. 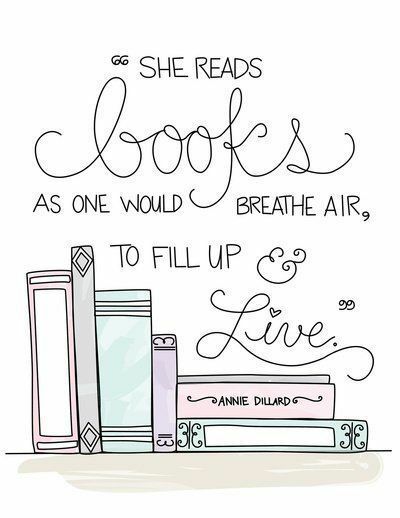 And I think reading a book is just the perfect way to be idle, hours can passed by and I won't even notice. It's probably my favorite thing to do other than drowning myself in a fictional imaginary book character. This time, it's a moving fictional character--or sometimes, there are also stories of non fictional characters. Just like books, watching movies including dramas and also animes *you know me* can sometimes teach us things we don't usually encounter in real life. And I like doing it while I'm alone because at that time I feel like I could just forget the real world and experience a new one. I can focus on it too. It's fun to find all those little details the directors and the film makers trying to make us notice. And again, it is a great way to be idle. I recommend you to watch inspiring movies like the ones from the Ghibli production like Whispers of the Heart, The Grave of Fireflies and many more! They might be an animation, but the moral in each stories could be overwhelming sometimes. And if you ran out of ideas, browse the Imdb website. They can be very helpful in recommendations. Love animes? Check out Myanimelist which also have a similar function. This one I usually do one or two times in a week. Usually when I already relaxed and ready to sleep. I'll light up my scented candle (Especially Bath and Body works one) and play an instrumental song, then just close my eyes. That is so relaxing! But usually I will set up a 'safety' alarm first, in case that I fell asleep and forgot to blow the candle. And make sure to burn it away from easily flammable substances like your room curtain or where there are papers nearby! Well, I guess those three are the one that I do most.So what are your favorite things to do while idling?! Mind to share with me? Just leave me a comment! 1)watching a movie alone, I love epic story such Hobit, 47 ronin, why? It doesn't waste my money, because the movie duration within 2-3 hours. 2)i love drinking coffee it help me to calm down, relax sometime while window shopping I will hold a cup of my frappucino (love starbuck coffee drink. epic story such Hobit, 47 ronin, why? It doesn't waste my money, because the movie duration within 2-3 hours.